Have a question about Kaiser? We’re here with answers. Kaiser Permanente was established in 1945 and is one of the largest health plan organizations in the U.S. Based in Oakland, CA. The medical plans offered by Kaiser are innovative, affordable, and provide great coverage. 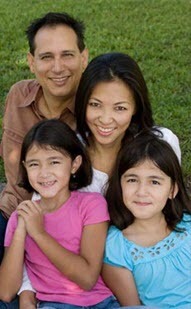 Kaiser Permanente provides health plan services to nearly 9 million members. In California, there are well over 6 million members of Kaiser Permanente. Innovation has played a large role in the growth of Kaiser. The idea of prepaid Kaiser Permanente health insurance plans, which spread the cost to make health care more affordable was one of the early innovations from Kaiser. Another innovation is the development of a physician group practice to maximize the abilities of doctors to care for their patients. Kaiser is known for a strong focus on preventing illness as much as on caring for the ill. An organized delivery system, which puts as many services as possible under one structure is another innovative concept from Kaiser. Kaiser Permanente offers innovative health plans and many that are the HSA (Health Savings Account) type. HSA plans are a tax-advantaged medical savings account that are available to persons typically enrolled in high deductible health plans. View the complete list of Kaiser health plans or obtain an instant online health quote from California Health Plans. Over the years many awards have been presented to Kaiser Permanente. Most recently, Kaiser Permanente was recognized as a “Best Place to Work” by three publications. Kaiser has been honored for innovative ways of using information technology. Kaiser is also very active in the community and annually provides millions of dollars in grants and donations to support efforts to keep people healthy. California Health Plans can you help find the best Kaiser Permanente health plan to meet your budget and coverage requirements. Call us at 1-866-657-8222 for assistance or to obtain a fast, non-obligation quote use our online health insurance quote system.